Shahada is the Muslim declaration of belief in the oneness of God and acceptance of Muhammad as his prophet. Shahada is the Islamic creed declaring belief in the oneness of God and acceptance of Muhammad (PBUH) as his last prophet. It is recommended that on this very special occasion to wash your entire body with the intention of embracing Islam. Please bring some form of identification passport, driver’s license etc.) with you for verification purpose. Upon your arrival to the mosque, the Imam on duty usually asks you some questions to assure your full conviction, in addition, he will also brief you on certain fundamental principles of Islam. New Muslims are encouraged to join the congregation at the Masjid on a weekly basis. In doing so, new reverts can learn to pray and become more familiar with the principles of Islam. In addition, the Masjid is a place where new Muslims gain support from each other and from others that have more experience in the Deen and religion. This is the basic statement of the Islamic faith. Reciting this statement wholeheartedly and with sincerity in front of witnesses is all that anyone needs to do to become a Muslim. The Shahadah is the first of the Five Pillars of Islam. 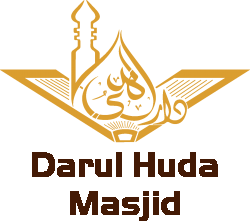 Copyright © 2019 by Darul Huda Inc. All rights reserved.